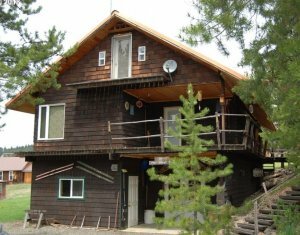 At Dependable Homebuyers, we offer the most efficient, potentially lucrative way to sell your home in Oregon. Regardless of where you live in this remarkable state, there is an excellent chance that we have already worked with homeowners in your area. While we are a national home-buying company, there is no question that we have a great fondness for this beautiful state. Portland is one example of the cities and towns we have worked with. Nonetheless, this is a city of many stunning towns, cities, and neighborhoods. No matter where you might live in the state, we are only too happy to discuss the possibility of buying your property. Trying To Sell Your Home In Oregon? We Can Help! When it comes to selling your home in Oregon, you essentially have three options in front of you. While we believe we are your best bet for selling your home at fair market value in a timely fashion, it is important to have a clear idea of what these options entail. Selling a home is never a small task. It stands to reason that if you are selling your Oregon home, the reasons for doing so are extremely important. It also stands to reason that you need the process to go quickly. This is something a lot of homeowners or other individuals need when selling something like a property. Which option is going to be the best? Let’s take a look at those possibilities. The more you know, the easier it will be to decide if selling your Oregon home through Dependable Homebuyers is the right way to go. One problem many homeowners experience is simply not knowing what is available to them. For example, before you came across our offer to buy homes in Oregon, were you aware of Dependable Homebuyers? Many believe that the only legitimate way to sell a home is to have it listed on the Oregon real estate market. This is worth considering, but it is extremely important to realize that this is not your only avenue. You have options. Why not explore them? 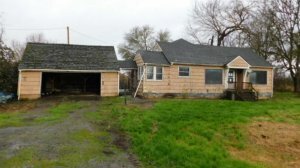 What Is The Best Way To Sell My Home In Oregon? Let’s take a look at the different options for selling a home in Oregon. Dependable Homebuyers can give you a direct deposit in two weeks, if not less, but is that the right way to go? This is where it can be helpful to have a better appreciation of the possibilities in front of you. Let’s start with the traditional Oregon real estate market. This is where most people go. The first thing you are going to need to do is hire a realtor. This in of itself can take a couple of weeks, if not longer. You certainly want to find someone who brings professionalism and experience to your desire to sell your home. Anything less than that is going to be a waste of time. Keep in mind that we are not realtors at Dependable Homebuyers. We do not work with realtors. We do not represent the interests of realtors. We are an independent group with no connections whatsoever to banks or other lending institutions. Now, you know you need to hire a realtor, but what are you going to need to do after that? Hiring a realtor means benefiting from someone’s experience in finding buyers for Oregon homes. It all means paying commissions and other possible fees. It also means paying for things like inspections and appraisals. These are all elements that can eat into your bottom line, which is also known as your return on investment (ROI). It can get worse from there, as you may have to pay for various repairs and other maintenance tasks your home needs. 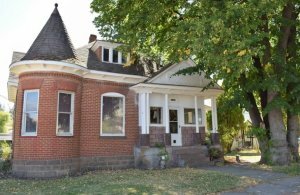 You may not have a home in suitable condition for traditional Oregon real estate listings. This is something you can obviously discuss with your realtor. 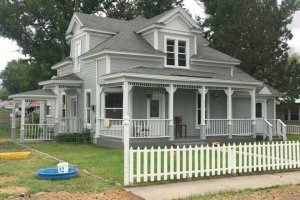 Finally, after potentially paying tens of thousands of dollars to bring your home up to code, you are ready to start showing it to possible buyers. This means throwing your whole schedule into upheaval. You will need to show your home to various people at various times. You will also need to keep your home in a near-constant state of being something you can show to others. These are things we all assume go hand-in-hand with the process of selling a home. Many people assume that they just don’t have any other options. Dependable Homebuyers will not ask you to spend any money. If you want to make repairs, that is entirely your decision to make. Just understand that we do not, under any circumstances, ask homeowners to make any repairs. We do not require appraisals. You will not be asked to pay for a home inspection. We are not only interested in buying your home, but we are willing to pay fair market value for your Oregon home AS IS. At this point, if you’re lucky, you have found someone who is more than just casually interested in your home. 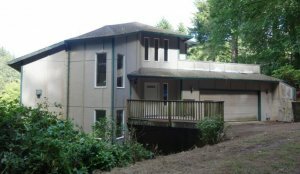 Sell Your House Fast in Oregon! One of the most annoying things about Oregon real estate is the fact that there is no guarantee of a time frame, in terms of when you can expect to sell your home. What we mean is that you could indeed sell your home in just a couple of weeks through a realtor. This can indeed happen. On the flipside of that thought, you could wind up spending months, even years on Oregon’s real estate market. Very few homeowners are stuck with a property they don’t want for years, but it is still something that can nonetheless happen. It really depends on the state of the market, in addition to the overall condition of your property. Unlike Dependable Homebuyers, a potential buyer very rarely takes a home as is. It is more likely that they are going to require certain repairs and changes. This can be a keen part of your negotiation process with such an individual. This aspect of things can also involve getting paperwork together, among other tasks. While this can be standard, many homeowners make the mistake of assuming this puts them in the clear, so to speak. No one would actually walk away from buying a home on the home stretch of the negotiation process. Would they? Probably not, but it happens more often than you likely think. The potential buyer is under no obligation to make a purchase, no matter how much interest they show. At any given point, up to signing paperwork and the like, this potential buyer can walk away from the whole thing. This will leave you in the position of having to start from square one. Again, this doesn’t always happen, but it does occur often enough to where an experienced seller might be a little wary. If you have sold your home in the past, you understand at least some of the possibilities we are discussing. What Does Dependable Homebuyers Offer? We Buy Houses of ALL Types! Dependable Homebuyers is an option that eliminates all of the above. We are not interested in negotiating. We are only interested in giving you a fair market cash offer for your home. If you accept, we can have the money direct deposited into your account within 7 days. This is why we promise the whole process of selling your home to us will take just a couple of weeks. We buy homes in vast quantities. It is in our best interests to make things as straightforward as possible for everyone involved. While hiring a realtor and doing it the old-fashioned way will always have a place in the world, you should never lose sight of the fact that this is not your only choice. Even if you’re still on the fence about Dependable Homebuyers, you are still not without options. Obviously, if you like a challenge, you can opt to sell your home by yourself. While this has worked for some in the past, you are still talking about a highly problematic decision. Let’s explore that in greater detail. Quit procrastinating! If you need to sell your property in Oregon, then give us a call at (855) 741-4848! For those exhausted or intimidated by the prospect of selling their home on their own, there is always the idea of selling the property on your own. After all, you technically do not need a realtor. You can list your home on free home-selling sites, which can even include Craigslist. There is also the option to use real estate listing websites that ask you to pay for a good listing. This can eat into your ROI, but it is nonetheless something you can explore in greater detail. Let’s unpack all of this, as you decide whether or not Dependable Homebuyers is the right way to go. 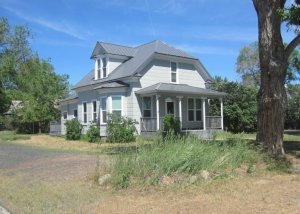 In the first place, you don’t have to spend A DIME to sell your Oregon property. This is something we want to emphasize again and again. With Dependable Homebuyers, you aren’t paying for a single thing. You will simply contact us with the desire to sell. We will conduct some basic research, and then come back to you with an offer. All of this usually occurs within a 24 hours. You will then take as much time as you need to decide whether or not to accept our offer. Selling Your Home to Dependable Homebuyers is Fast & Easy! If you do choose to accept, we will have the money for you in a very short time. We pride ourselves on being able to make the direct deposit into your bank account in seven days or less. At no point in any of this are you going to need to spend any money. Regardless of whether or not you choose to pay to list your home, you are still talking about a process that can be time-consuming and costly in equal measures. You get to skip out on paying a realtor anything, but it is more likely than not that you will still be on the hook for inspections, appraisals, and repairs. You also have to go through the negotiation process on your own, which can be extremely difficult without the experience and determination of a realtor. Everything will have to be handled on your own. While it is well within the realm of possibility that you will find a buyer early on, this isn’t something you should count on. More often than not, selling a home by yourself is just as stressful as selling with a realtor. In fact, we would go so far as to say that more often than not, selling your home on your own is much more stressful than selling your home with a realtor. We Are Ready To Buy Your Home Today! Dependable Homebuyers stands as your best option for selling a home quickly and painlessly. When you do the research, you will find that we are peerless in that we back up every promise we make. 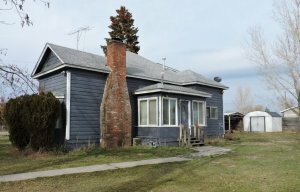 We buy homes in ANY CONDITION. We make generous cash offers that can be deposited in seven days or less. We do not ask for repairs, replacements, appraisals, inspections, or a lengthy negotiation process. We will buy your home, give you the money you need, and make it easy to get on with your life. It is our opinion that anything less than that is a waste of time. The other options we have discussed are not without merit. We just want you to keep in mind that you are not limited to old-fashioned methods. 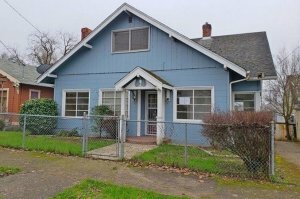 If you don’t want to get stuck in the haphazard Oregon real estate market, we can help. If you need money quickly for one issue or another, we can help. If you need to move quickly, yes, we can help. We can even help individuals who have inherited a property they simply can’t keep. At this point, it should be easy to see that regardless of who you are, and regardless of the condition of your home, Dependable Homebuyers can help. Don’t Delay! 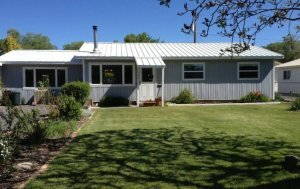 We’re ready to give you a fair, cash offer for your Oregon property immediately. No matter the condition, no matter the situation – you can sell your house fast without listing with a real estate agent. Fill out the form below for your no obligation cash offer!